Let’s talk about obsessions – I don’t have many but the ones I do have run deep. I fall head over heels for objects and I just want them in my life. The Iittala Sarpaneva pot is one of those things. With it’s gorgeous lines and elegant looks I want to place it on my stove top as an everyday accent. The wooden handle acts as both handle and lid lifter – making it functional, as well as beautiful. 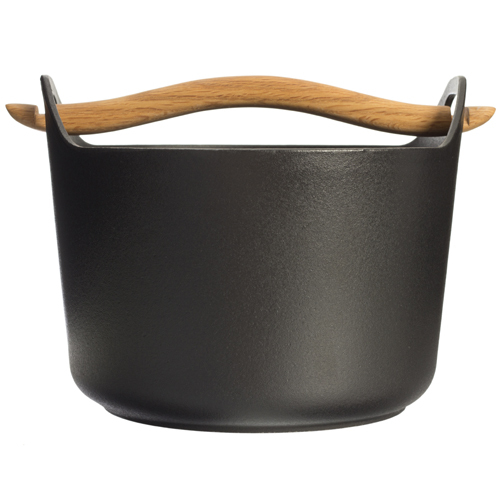 You can grab the Sarpaneva pot or any of the other gorgeous Iittala cookware in the store and online. AND it’s 20% off until August 5 with the promo code iittala14. So grab your new favorite pot today. Local Root is an independent, locally owned kitchenware store in Massachusetts. We Are Best of Boston: Kitchen Supplies!